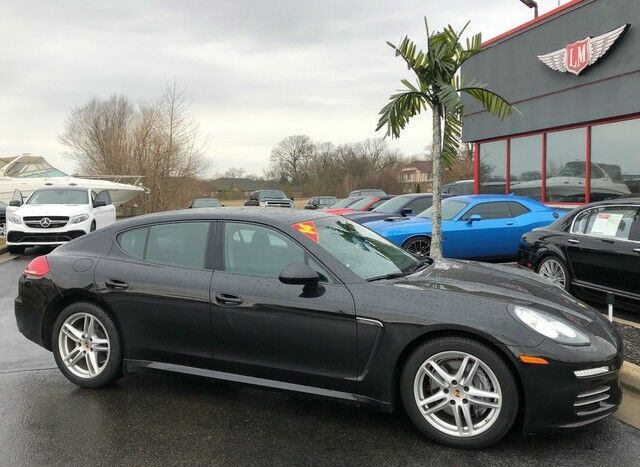 2014 Porsche Panamera 4! Clean CarFax, nice car! $91,435 MSRP, Equipped with a 3.6L V6 producing 310 horsepower, all wheel drive, a 7-speed PDK dual clutch automated transmission,19" Turbo wheels, heated and cooled leather seats, navigation, backup camera, sunroof, park assist, lane change assist, heated steering wheel, Bose audio package and more! 62k miles for 39,900, thats $4,500 under CarGurus instant market value! Ask about our extended bumper-to-bumper, unlimited mile warranties for the peace of mind to match this AMAZING vehicle!